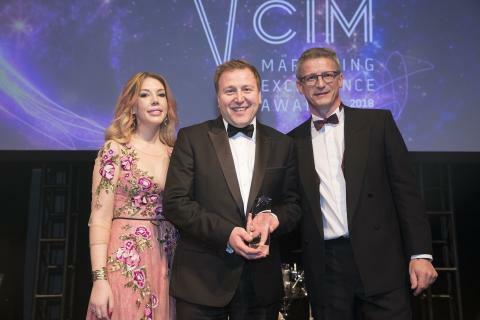 At its annual Excellence Awards, which showcases the UK’s finest marketing talent and sector innovators, the Chartered Institute of Marketing (CIM) named Go North East’s commercial director Stephen King, ‘Marketer of the Year’. Held at the prestigious Grosvenor House Hotel in London on Thursday 12 April 2018, the Marketer of the Year award recognises the stellar impact a marketer has had on their organisation. This includes how they have gone above and beyond in their role, their dedication and high level of commitment, plus how they have shown creativity, originality and an inspiring work ethic while providing a remarkable personal contribution. Stephen was shortlisted alongside five semi-finalists in his category. Judges cited his innovation and deep customer and organisational understanding as two main factors for his win, which has included developing a cohesive marketing strategy for the company and its bus brands, while introducing bold transport and region-first initiatives across ticketing, technology and fares. This includes £1 ticketing for under 18s – a pioneering initiative resulting in double digit growth, and a passenger-first approach, which has increased customer service scores across all areas of the business. 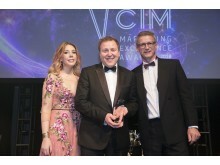 The accolade follows Stephen’s recent promotion to commercial director and adds to a clutch of professional award wins for him, including the Leadership and Inspiration category at the UK Bus Awards and as one of the CIM’s ‘North East 50 Marketing Greats’. Kevin Carr, managing director at Go North East said: “This is an outstanding achievement and adds more weight to Stephen’s credentials as a progressive marketer and valued leader at Go North East. It’s fantastic to have his contribution and experience recognised on a national stage, alongside his peers.